Goal Boards are a great way for coaches to set game and team goals in a specific, organized format to chart progress and motivate players. Goal Boards are made with a write-erasable and magnetic surface for quick updates. They can be a key element to focus and measure a season’s plan. 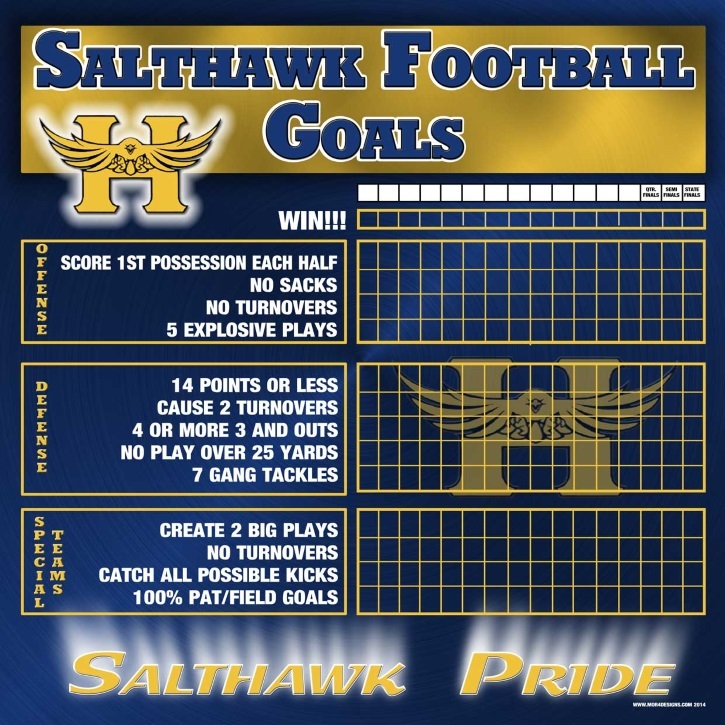 Goal Boards can be pre-printed with your specific goals, nomenclature, and terminology. 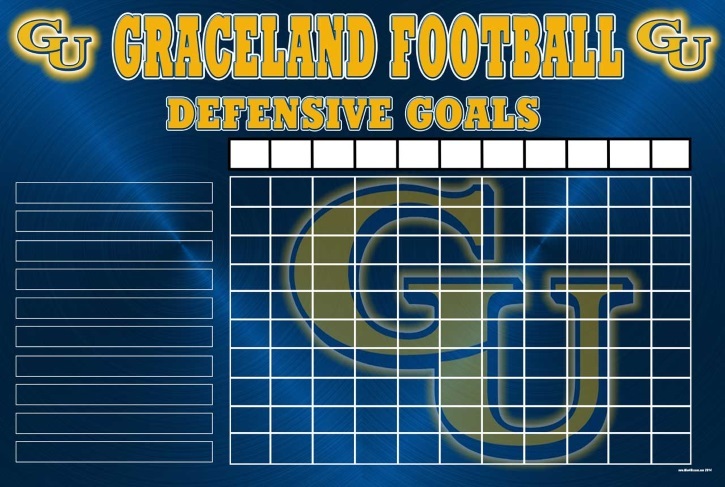 Magnets or open write erasable spaces can be used to track goals or change opponent’s names. 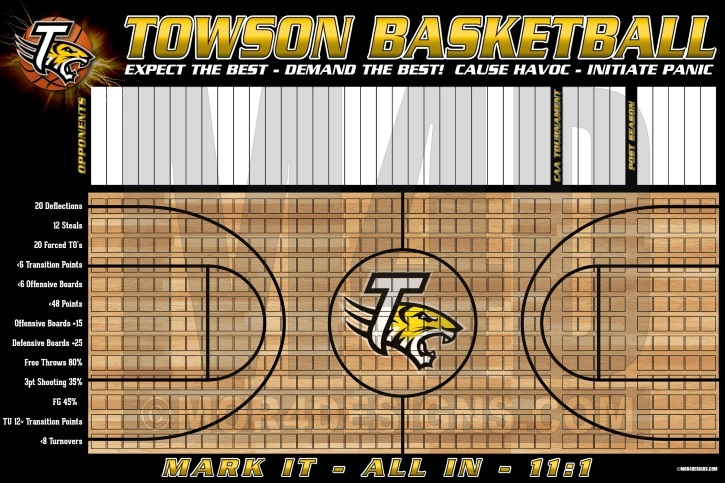 Boards can be designed so that goals and opponents can be changed yearly. Our Goal Boards are manufactured from ImageBoard or AlumaBoard. Both of these materials are front-print graphics which maximizes clarity and helps minimize the glare of fluorescent lighting. All Mor-4-Designs boards are printed with the highest quality inks for long life and color retention. All boards can be easily mounted to any surface through fasteners or using a variety of adhesive applications or lightweight yet a strong enough for a portable application on the sideline or court. 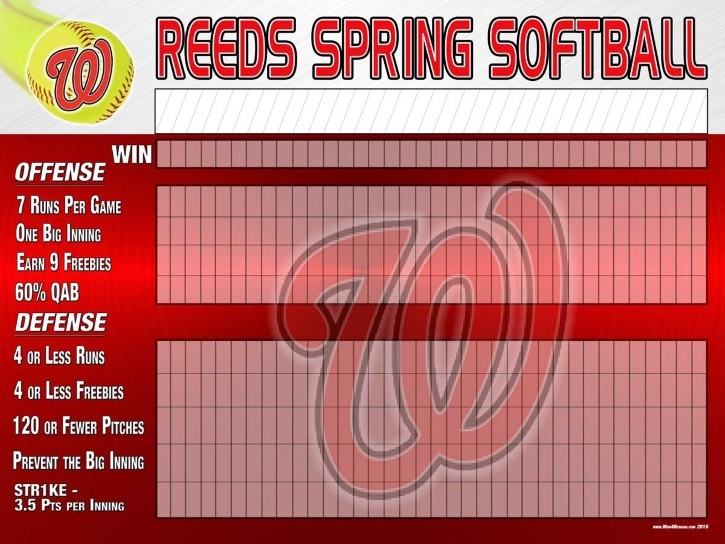 Goal Boards are used in any structure to help coaches succeed. Great for: locker rooms, coaches’ offices, field houses, sidelines, or anywhere you want to plan, teach, and motivate your athletes.